Order Meridian Organic Almond Butter 170g from the Online Health Food Store UK. 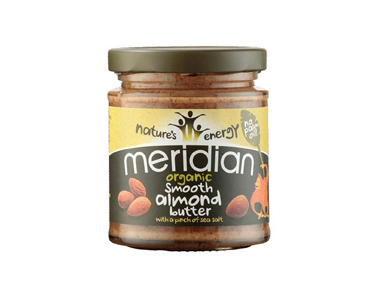 Buy Meridian Organic Smooth Almond Butter 170g and other quality Nut & Seed Butters safely online in the UK. Organic almonds are roasted in their skins then ground until smooth. Where to buy Meridian Organic Almond Butter 170g safely online? Shop at the Online Health Food Store if you are wondering where you can buy Meridian Organic Smooth Almond Butter 170g safely online in the United Kingdom. Organic Almond Butter 170g - Meridian Organic Smooth Almond Butter 170g in Nut & Seed Butters and Foods.